Radio DJ: Specially for Ivan’s mother-in law: Chris Rea with Road to Hell! Holidays are never long enough to get homesick, and I get instantly nostalgic the moment I return. Nostalgic about the places I’ve just returned from. A few snapshots I took in the 24 hours before my return to Moscow. Go through them to understand how my Mountain Deficit Disorder enters its acute stage as I get further from the mountains. 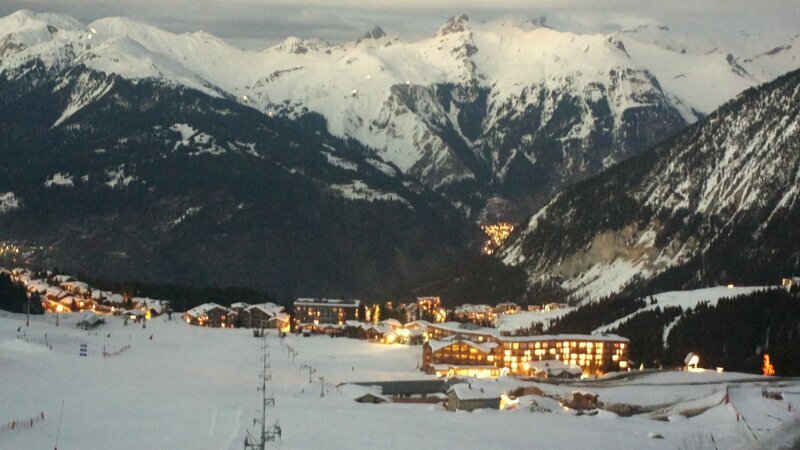 Courchevel, France, at night. Oligarchs, bankers, models. The warm window glow coming from cosy hotels and chalets priced anywhere from 1,500 to 30,000 Euro per week can make anyone cold-hearted about the banker bonuses that they get for managing money of Saudis and Russians acquired from sales of their oil and gas to the average Briton or Frenchman, including the ones living on benefits. It’s complicated, and somehow feels unjust, but as most unjust things in life, it is perfectly legal. The average Russian oligarch and his girlfriends do not ski. 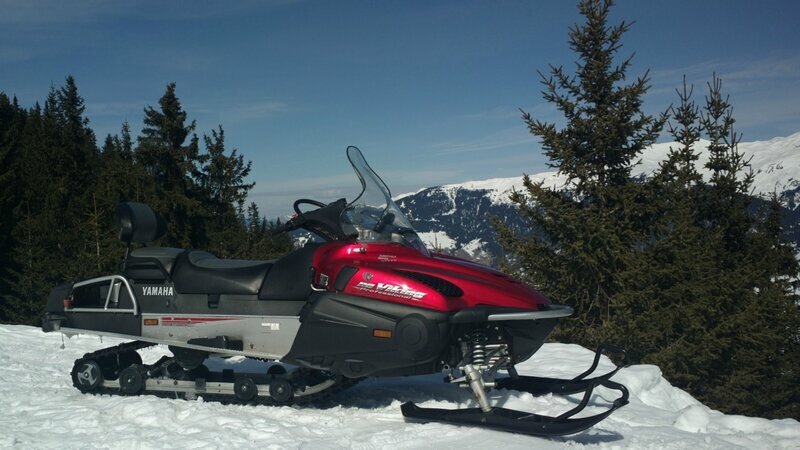 They use these beauties to get to the mountain restaurants. 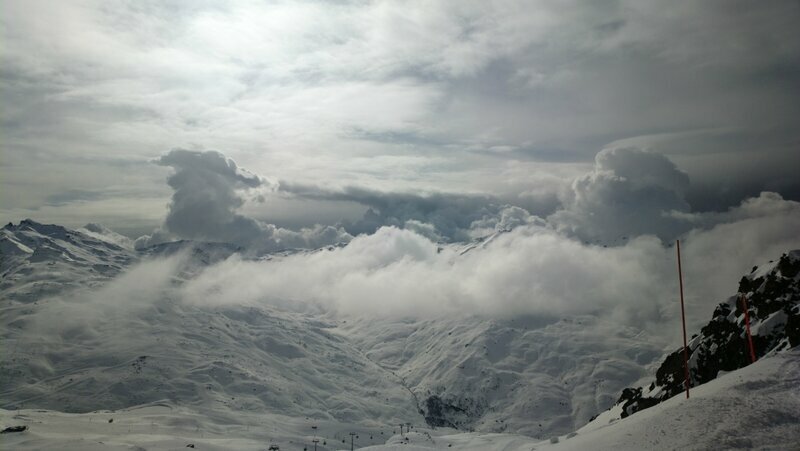 But the thing is, if you don’t ski, you don’t get to see this, the forming of a storm at 3500 metres. Yes, it is hiding in the towering cloud on the left. And that’s something that takes your breath and mind so much away you are tempted to raise your ski poles to draw in a few lightnings. This is why being on top of the world for too long is bad for any politician. It doesn’t make them gandalphs, and when they start brandishing their metal-made weapons, some real god often gets curious about the effect of stray electricity on human arrogance. And, of course, this view. Something you can’t reach even on skis. 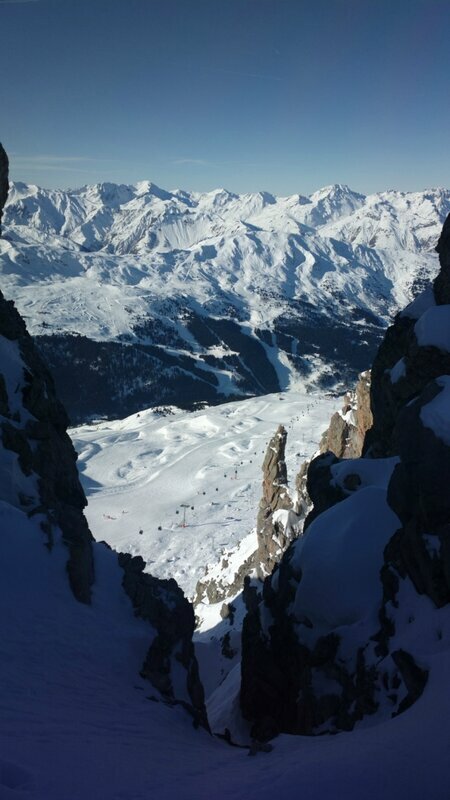 You have to ski and then walk along a ridge to get to this view. Leaving Courchevel is not easy. 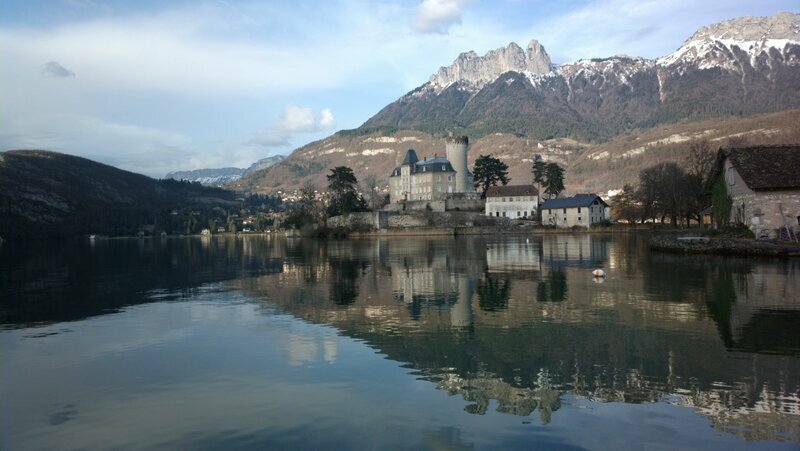 Yet, the road to Geneva offers a lot of pleasures, most of which (like great apple pies, superb cappuccinos and nice clean toilets) can be found around the lake of Annecy. 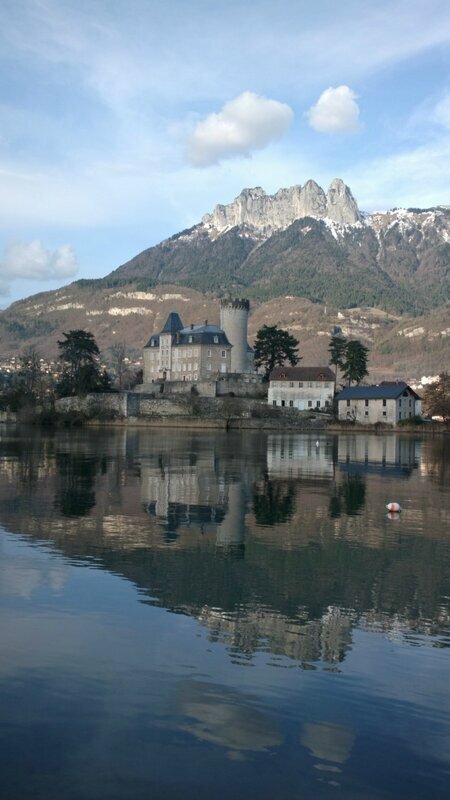 You might have already seen this castle in my blog (in an article about Cezanne’s approach to painting it), but in the evening light it is especially charming. Which one do you think is better, the horizontal or vertical? You know what are these things? 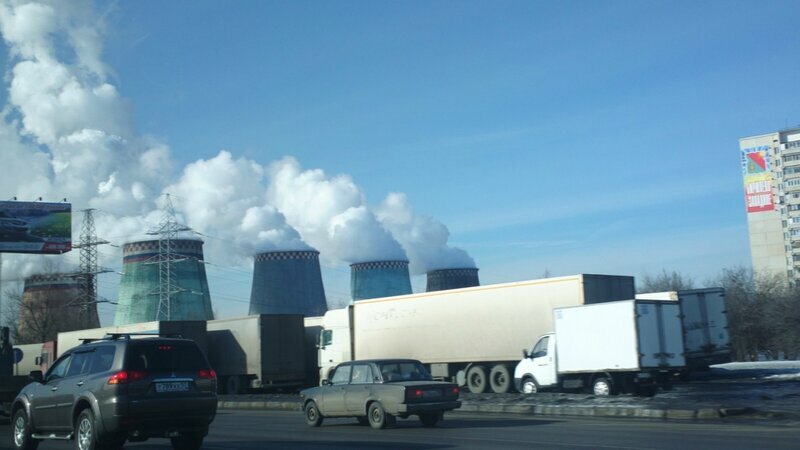 Cloud generators. Makes a better view from the Kremlin. You know, just a blue March sky is not as picturesque as a blue March sky with a few white clouds. No. 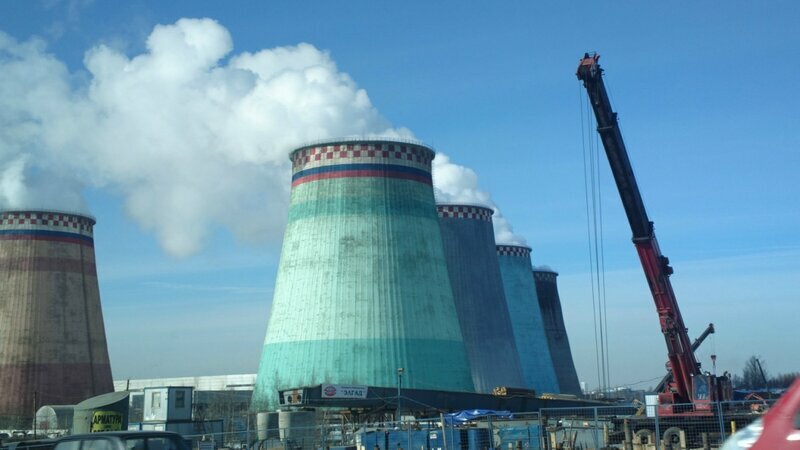 It is just a power plant. One of the few built inside Moscow, surrounded by houses where people actually live. 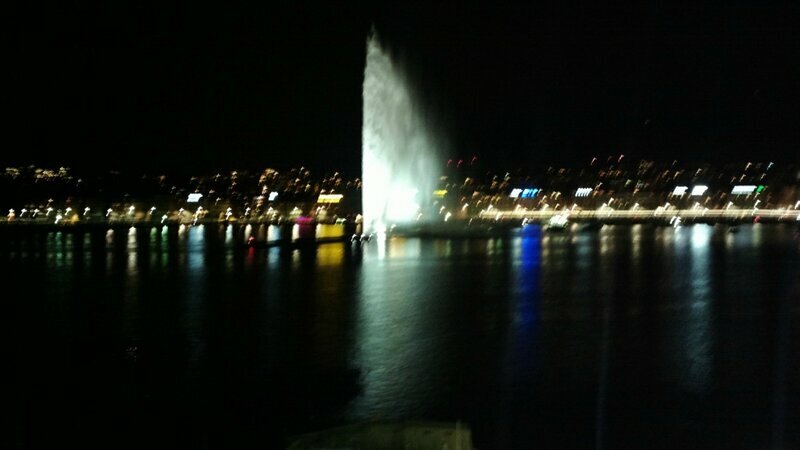 Not as long as those who live in other places, but, you know, one has to pay for a nice view outta one’s window. Now, I am mountain sick again. You may understand why. So, in a few days, we’ll get back to talking art! 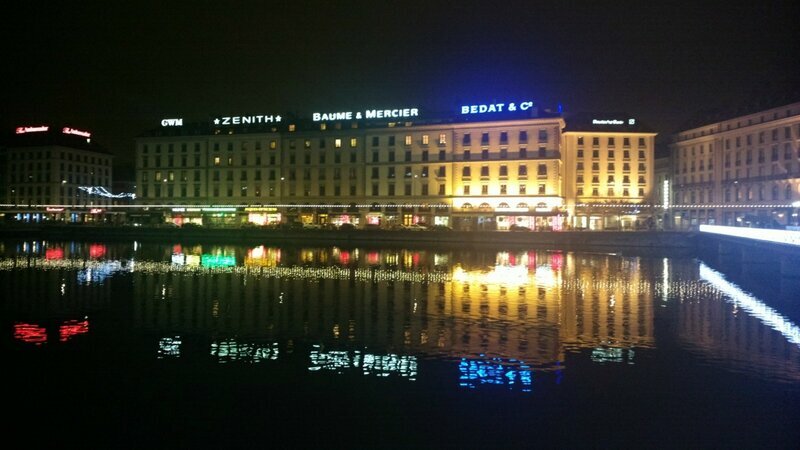 This entry was posted in Surprising Life and tagged Annecy, Courchevel, Geneva, Moscow, nature, Photography, Travel on March 11, 2013 by artmoscow.